Here are the top 3 cities in America to find chocolate ice cream at the cheapest prices. Calling all certified chocoholics! National Chocolate Ice Cream Day is Thursday, June 7 (#ChocolateIceCreamDay to see frozen deliciousness from around the country!). Want to get your two scoops at home and finish up with an Instagram-worthy chocolate mustache? The Basket team used the power of community to find the cheapest cities in the top 10 U.S. metro areas for you to buy your chocolate ice cream at the grocery store. No brain freeze here. We data-crunched chocolate ice cream prices spanning the top-selling brands at the grocery store, from Breyers and Ben & Jerry’s, to Häagen-Dazs, Blue Bell, Wells Blue Bunny, Turkey Hill, and Edy’s Grand. Of the top 10 metro markets — including New York, Los Angeles, Chicago, Dallas, Washington, D.C., Houston, San Francisco, Philadelphia, Boston and Atlanta — coming in at number three least expensive was Houston, at an average chocolate ice cream price of $4.95. Hey, when you’re in the Capital of the Sunbelt, and it’s hitting 90+ degrees, that chocolate ice cream comes in handy. And, it’s better when you’re saving money on it. Runner up on the list of least expensive places to buy chocolate ice cream is Washington, D.C., at an average price of $4.90. This Thursday, Washingtonians will be nervously watching game five of the Stanley Cup hockey finals, so if the Washington Capitals lose … well, that 48 ounce container of chocolate ice cream is ready for potential bummed out fans. And, if they win, what a better way to celebrate? Finally, at an average price of $4.85, Chicago takes the top billing at the cheapest place to buy chocolate ice cream. Oh, those lucky Chicagoans. They endure harsh winters, but they do get to celebrate the start of summer with chocolate ice cream at a primo price. You win some, you lose some, right? Don’t live in one of those cities? Don’t give up your chocolate sundae dreams. Your Basket app will help you find your favorite brands for the lowest price in your neighborhood. 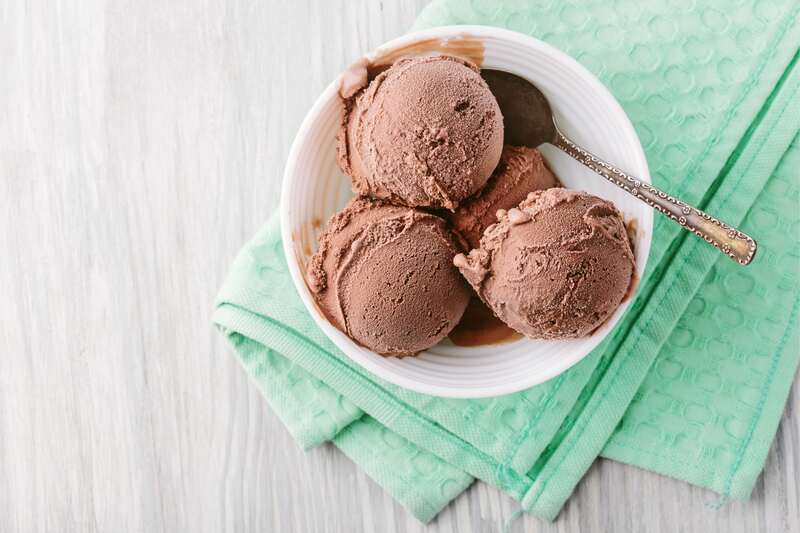 So, grab a spoon on this special Chocolate Ice Cream day – guilt optional. *Average chocolate ice cream pricing based on Basket’s community of users, using eight top-selling ice cream grocery brands.